A Happy and a Lucky New Year to you. Those photos are something singing through the guitar amps. OK. In the photo is myself on guitar Rodney on drums, Sammy on bass, and Brewster on rhythm guitar. a classmate Davie Lyttle said we would sing a Lonnie Donegan song but we didn't play guitar...so, another guy from our class Tom P.
but he wouldn't let me near it. about 6 months later,and eventually sent to England for an electric guitar called a Rapier 22...it cost £22. 50p. 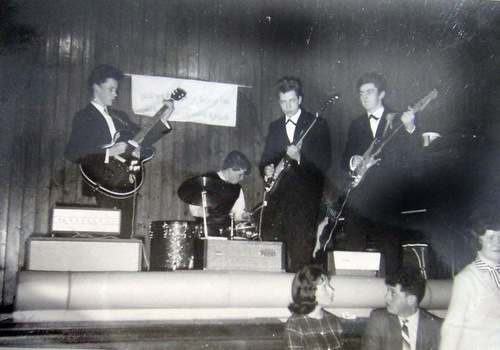 I was playing with the Atlantics just before I left Orangefield school for good..be about nearly 16 years old..roughly 1963. 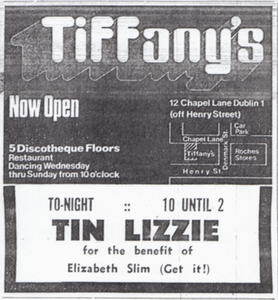 I don't know what happened to Sammy Cooke.i was living in London ...this is when Thin Lizzy moved from Dublin to London. 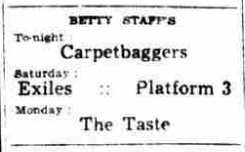 I lived in a huge house in Belsize Avenue ...there was about 12 musicians living there and Gary Moore lived in the ground floor flat. 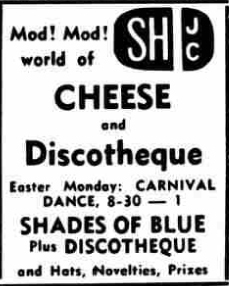 heard about him was he was working as a barman in the famous Marquee Club in Wardour Street. 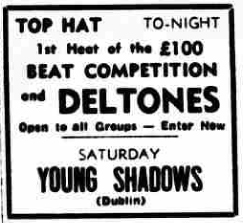 Gary Moore with Beat Boys played together with Deltones with Eric Bell on guitar. The next day Gary would become 13! years old. 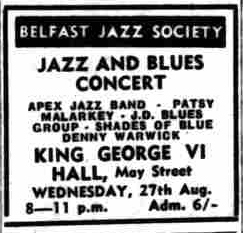 This band played a few unsatisfactory ad hoc gigs in Belfast. 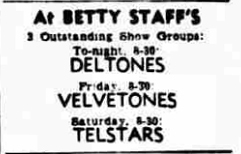 This band was formed by Bell after he left Van Morrison and Them Again (Sep - Oct 1966). 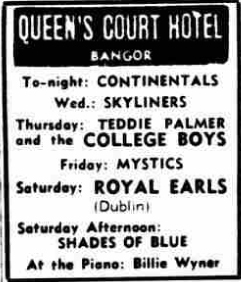 For a while the band had lots of gigs, but when the work began to dry up and Bell was approached by John Farrell at the Martime Hotel in Belfast and was asked by him to join his band John Farrell and the Dreams in Earl Jul 1968, he had no choice but to except. 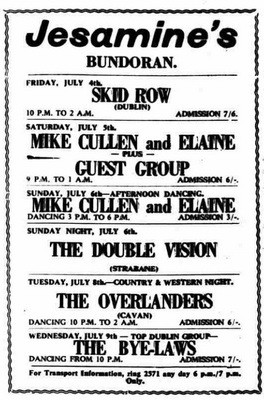 The Dreams formed in Earl Jul 1968 and played their first gig at The Television Club in Dublin on 8 Jul 1968. 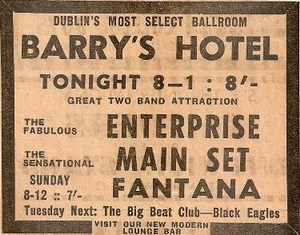 Founder of the band lead vocalist John Farrell had approached lead guitarist Eric Bell at the Martime Hotel in Belfast and asked him to join The Dreams. 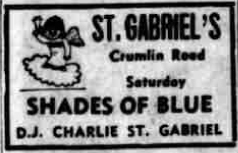 Since Bell's band The Shades of Blue was not doing very well, as their work was drying up he agreed to join Farrell's group. 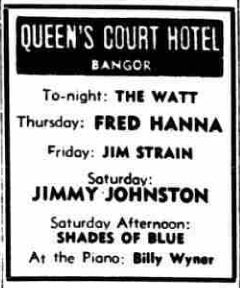 The band was managed by Jim Hand. 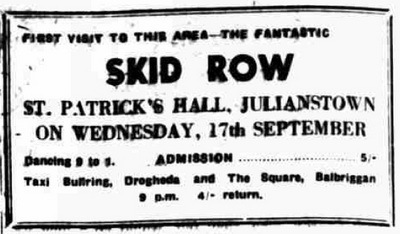 On Frid Sep 9 1970 the new line-up of Dreams played their first gig in Cookstown, County Tyrone, Eire. 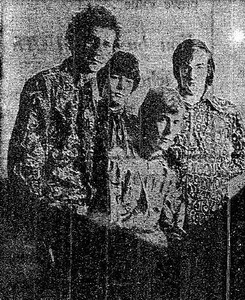 The Dreams became The Dreams Rock 'N' Roll Band in Nov 1971. 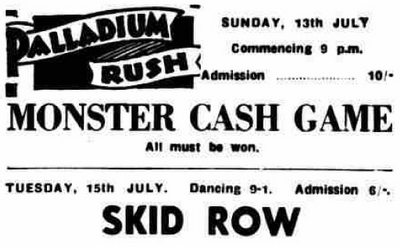 This band was formed by Brian Downey, not long after he had persuaded his father to buy him a drumkit from an old furniture store called Cavendish's in Dublin at the cost of ten bob. 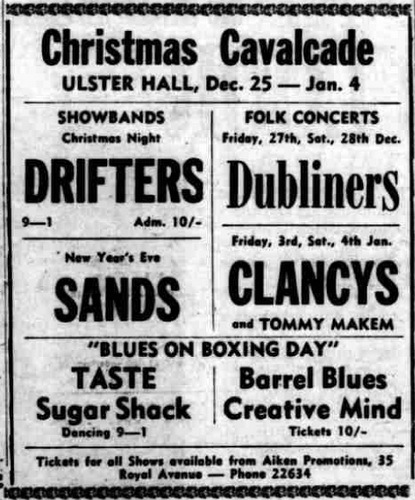 The band played a few gigs and then split up, Downey then forming The Mod Con Cave Dwellers with some of The Liffey Beats. Brian´s father bought a drumkit for Brian. Shortly after the guys in the street suggested to Brian that they should start a band. 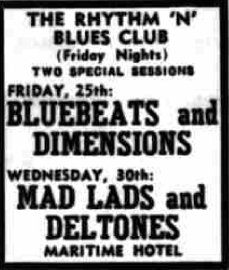 They named the band The Liffey Beats after The Mersey Beats. 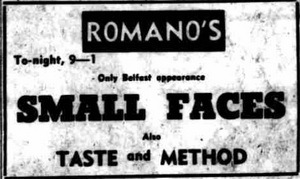 The guys were Tom Cullen on lead guitar, `Bomber` Fagan on rhythm guitar, Robbie Welsh on vocals and Brian on drums. 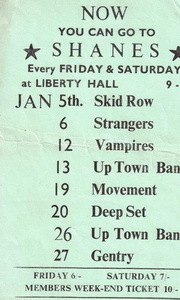 The band used to play numbers by The Shadows, Tornados and The Spotnicks (Swedish band). 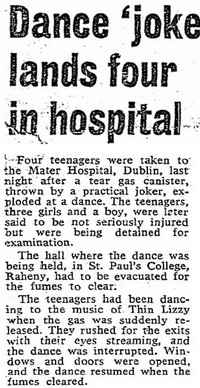 The bands biggest gig was when a priest asked them if they wanted to play in a hospital. 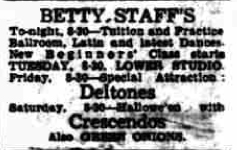 The audience were children between six and twelve years old. The band got a box of candy for the gig. 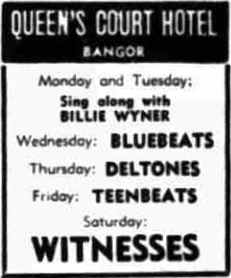 This band was formed in 1965 by Brian Downey, with members of his old band The Liffey Beats. 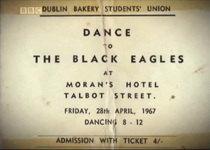 The band supported The Black Eagles at St Paul's Hall in Dublin, Eire, where they had a residency. 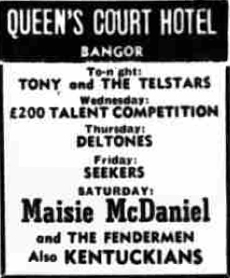 The band thought this might mean regular work but they were kicked off the bill by The Black Eagles's manager Joe Smith, because The Dwellers lead guitarist (Tom Cullen? ), having broke a string on his guitar, borrowed The Black Eagles's Danny Smith's guitar and broke a sting on that as well. 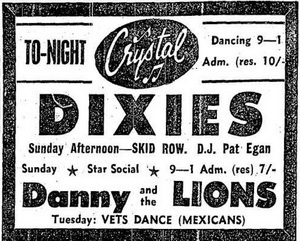 Anyway Downey later replaced The Black Eagles drummer Nick Higgins when he went into the army. The Black Eagles were put together by Joe Smith for his two sons Danny and Frankie Smith. 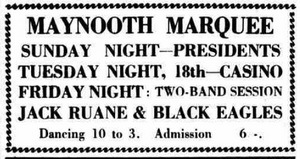 Joe Smith wanted Peter Lynott (born 2.1948, in Leighlin Road? Crumlin? 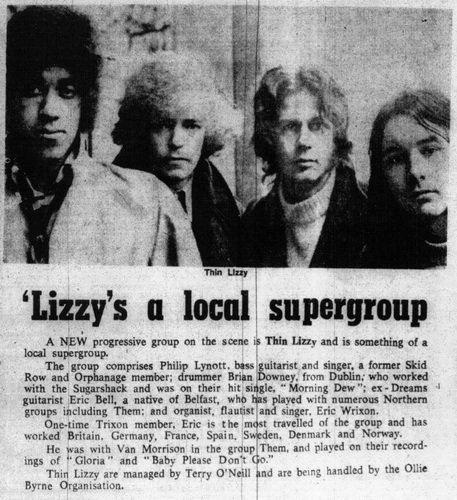 Dublin, County Dublin, Eire), a neighbour to be the lead singer of the group and tried to pinch him from his group The Sundowners, but this proved unsuccessful. So instead his nephew Phil Lynott took the job instead. 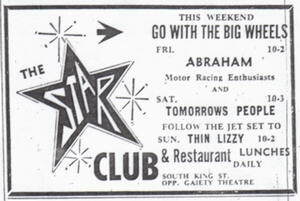 Joe Smith thought that if Phil Lynott was in the band he would tell his uncle Peter Lynott how great the group was and he would want to join. 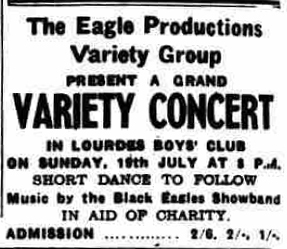 The band now going under the name The Black Eagles played place like St Anthony's Hall, The John of Gods and local youth clubs in Dublin, Eire. 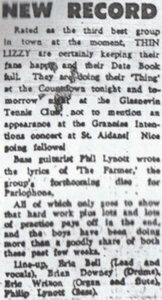 Phil Lynott made such a great impression on the people that turned up to watch the group, that the band forgot about Pete Lynott. 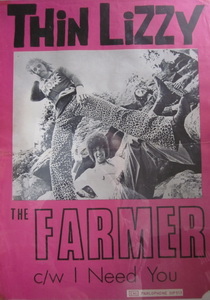 The group became really popular very quickly and got a lot of gigs. 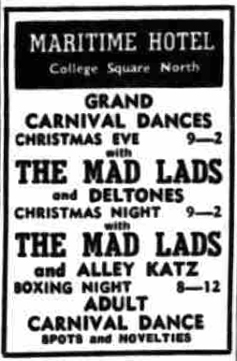 They then got a residency at St Paul's Hall in Dublin, supported by The Mod Con Cave Dwellers, who included Brian Downey on drums. 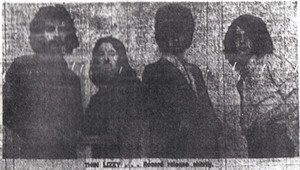 When The Black Eagles drummer Mike Higgins decided he was going to join the army Lynott approached his school friend Downey, both where pupils at The Christian Brothers School in Crumlin, Dublin and said if a vacancy comes up would he join the band and Downey said yes. 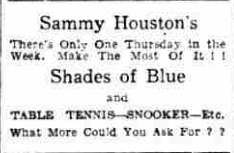 Still the group placed an advert in a local paper asking for a drummer. 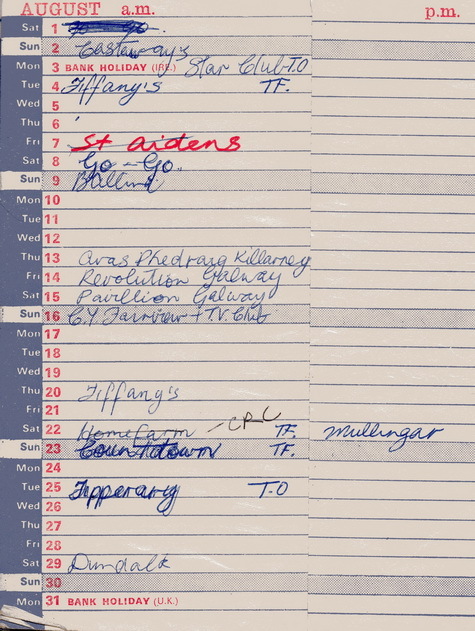 Downey answered it and phoned Lynott saying he thought he had the job. 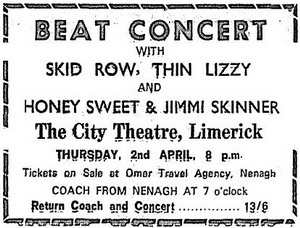 So Lynott made an excuse and invited him over to Joe Smith's house and when he walked in, was asked could he play 'You Really Got Me' by The Kinks. He played so well, in particular a complicated drum pattern in the song, much better than the old drummer Higgins that Downey got the job and they spent the afternoon rehearsing Beatles and Stones numbers. 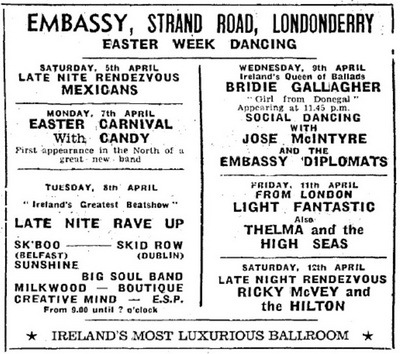 Downey then spent next two days learning thirty songs and played his first gig where The Black Eagles still had a residency at St Paul's Hall. The band than got a lot more books around the centre of Dublin, The Club-A-Go-Go, The Flamingo Club, The Scene, The Five Club, The Sound City and the slightly more up market version of The Five Club, The Green Lounge. 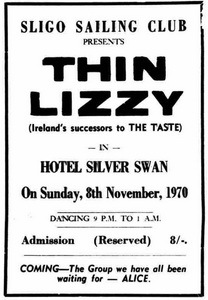 The band was then booked to play The Bastille Club in a hotel in Dalky, County Dublin, by Ted Carroll, who later managed Thin Lizzy. 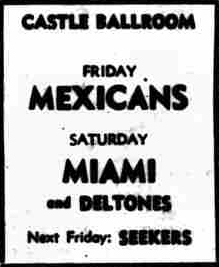 Carroll had booked The Mad Lads from Belfast to play three hours, but they could only play an hour so he needed another band and this van driver recommended The Black Eagles, who he was told could get for about a fiver. 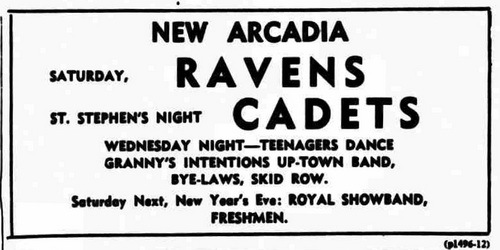 They played well, doing Yardbirds and Small Faces numbers. Then shortly after that Frankie Smith had had enough and suddenly left and was replaced by Alan Sinclair. 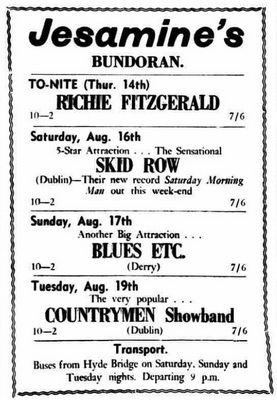 Still the booking kept coming in and they opened for the big showbands and opened at The Mayfair Rooms for Joe Dolan and the Drifters. Next to leave was Danny Smith replaced by Ronnie Deegan. 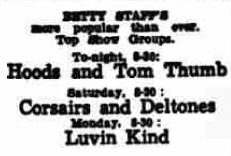 Not long after that even though they were still getting gigs, the band just fell apart, especially as Joe Smith's sons were no longer in the band and he lost interest. 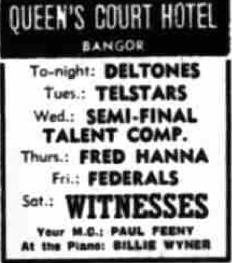 Phil asked Brian one day in school if he wanted to join the band, because the bands drummer Mike Higgins was going into the army. The first song he played with the band was You really got me. 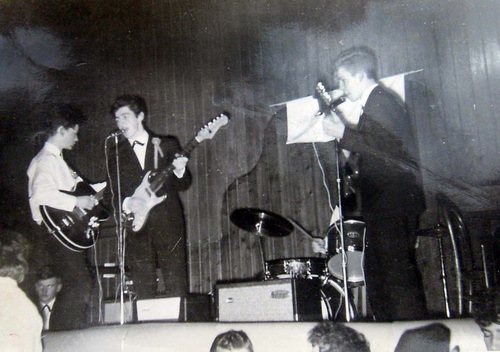 The band was now Phil on vocals, Brian on drums, Danny Smith on bass and Frankie Smith on guitar. 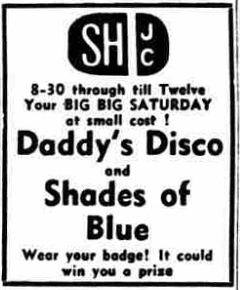 The manager was Danny´s and Frankie´s father Joe Smith. 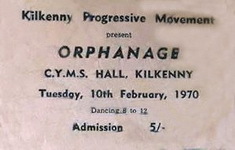 They played the first gig with the new linup at St. Paul´s Hall in Dublin. It was a big success with 400 people in the audience. 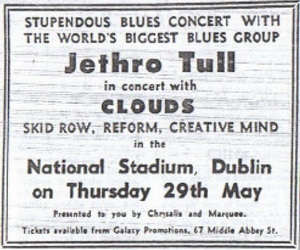 The band used to play four gigs a week in Dublin. Before the split they changed the bands name to Jigsaw. 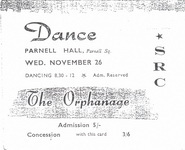 St. Paul´s Hall Dublin, Ireland 400 people in audience. 660719 Olympia Theatre Dublin, Ireland Miss Mod 66 Final at Olympia Theatre. St Peter´s Hall Phibsboro, Dublin, Ireland Terry O´Neill meets the band. 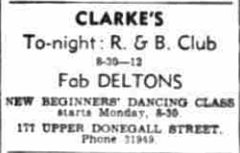 Bastille Club Dalky, County Dublin, Ireland Ted Carroll had booked The Mad Lads from Belfast to play three hours, but they could only play an hour so he needed another band and this van driver recommended The Black Eagles, who he was told could get for about a fiver. 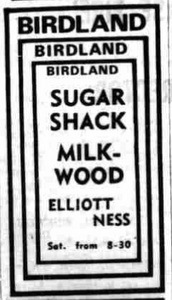 They played well, doing Yardbirds and Small Faces numbers. 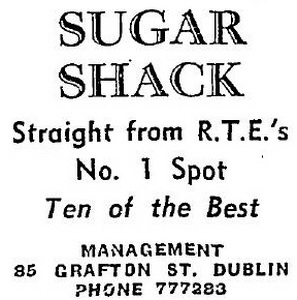 A Tim Rose song Morning dew became a Irish hit (No.17) for Sugar Shack giving the group nationwide recognition. The group lasted for two years. 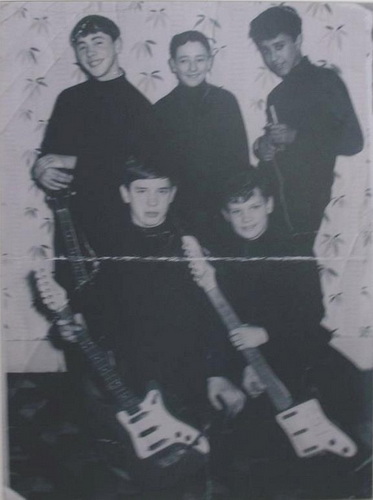 The Beat Boys were formed by Gary Moore and had a residency at a club in Hollywood, County Antrim, a few miles north-east of Belfast, Northern Ireland and run by his father. 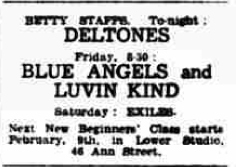 Played together with Deltones with Eric Bell on guitar. The next day Gary would become 13! years old. 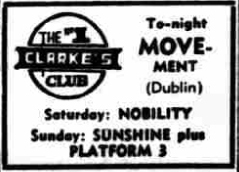 The Method were a progressive trio from Belfast formed in 1967 with David Lewis on lead guitar; Paul Hanna on bass and Wilgar Campbell on drums and managed by George Meehan. 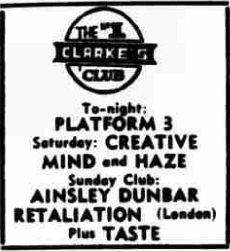 Hanna was later replaced by Nigel 'Nig' Smith. 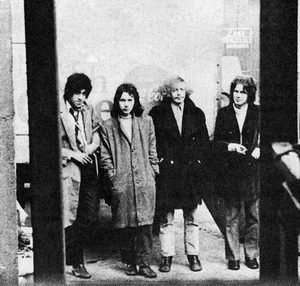 The band recorded some tapes at Lloyd's Studios in Belfast. 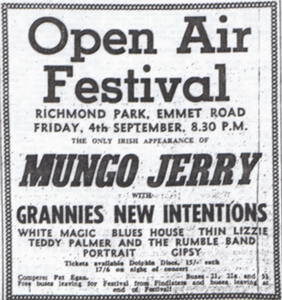 When Lewis had a car accident and could not go on the bands trip to Dublin they approached lead guitarist Gary Moore (ex The Beat Boys) in a Belfast park and virtually kidnapped him and took him to Dublin, where they played some shows at The Club-A-Go-Go in Abbey Road. 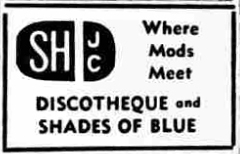 The had a residency at this club until Jun 1968, playing three or four times a week. 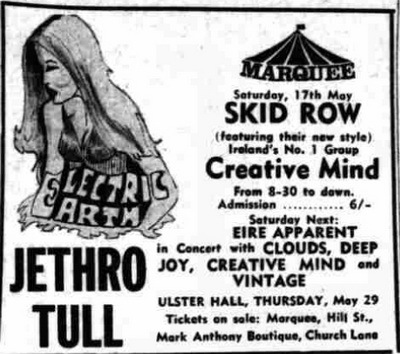 It was in the dressing room of The Club-A-Go-Go, that Moore was introduced to Brush Shiels, who was looking for a lead guitarist for his band Skid Row, who were playing across the road at The Seventy Two Club. 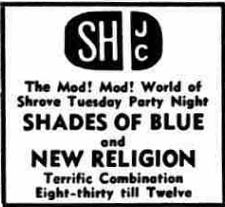 While Skid Row where taking a break Shiels had come over to The Club-A-Go-Go to watch Moore. 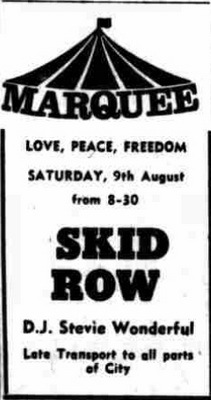 So when The Method were taking a break Moore went across the road to The Seventy Two Club to watch Skid Row. 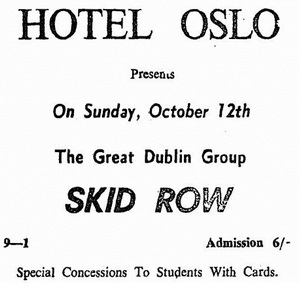 Moore decided to join Skid Row and about a week later he moved to Dublin and got to meet the rest of the band. 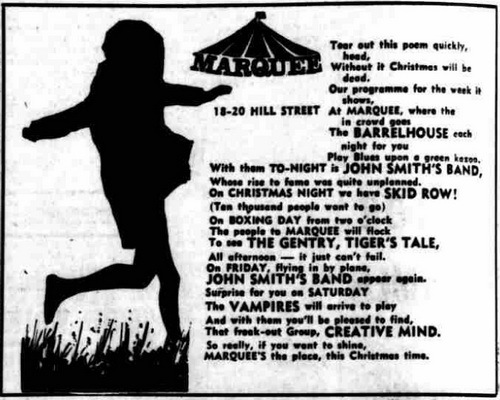 Moore who was not getting on with his father, thought that by joining Skid Row it was a great chance to get away from home. 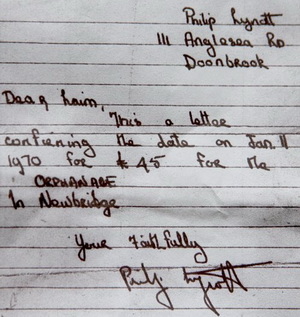 He was also told he would be getting £15 a week, which he never did. 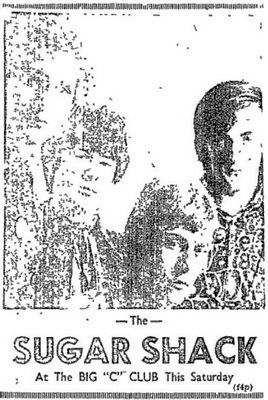 When The Method moved to London later in 1968 they changed their name to Andwella's Dream. 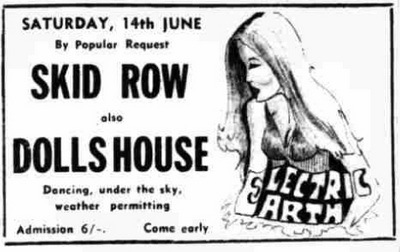 Kama Sutra was a soul band that played numbers by Eddie Floyd and Sam and Dave. 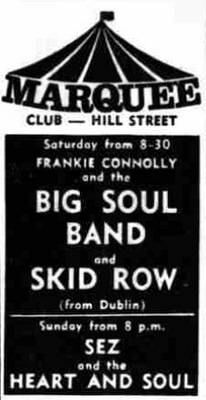 When Philip was in the band he met Brush Shiels who was an up and comer of the beat club scene in Dublin. 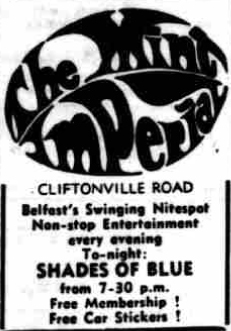 Lead guitarist Bernie Cheevers and bassist Brush Shiels got the band together in Summer 1967, after both had been sacked from their previous group The Uptown Band and they thought they would obliterate every other band in Dublin. 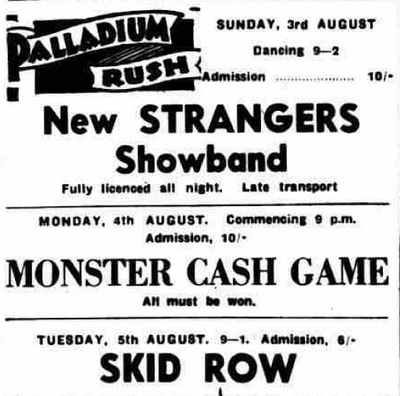 They got Noel Bridgeman in on drums in what was his first band, and went hunting for Phil Lynott and that was how Skid Row formed, orginally as My Father's Moustache (Summer - Oct 1967). 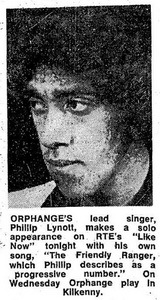 Shiels had wanted Phil Lynott in the band, not because he could sing, but because he was good looking. 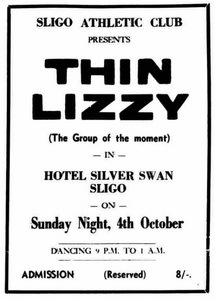 Shiels went around to his house and Lynott agreed to join. 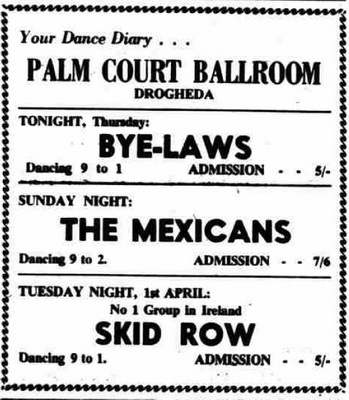 Shiels also tried to get Lynott to get his friend Brian Downey to join Skid Row, but he turned down the gig as he was more into the blues than the West Coast sound. 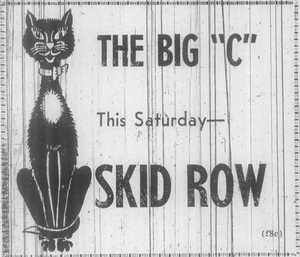 So instead Skid Row got in Noel Bridgeman. 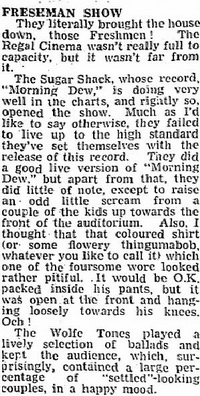 The band had their first rehearsal in a condemned house (with scaffolding poles holding up the ceiling and one single working socket outlet on a dangling flex) off Lower Dorset Street in Dublin. The first number they tried was Hendrix's 'Manic Depression.' 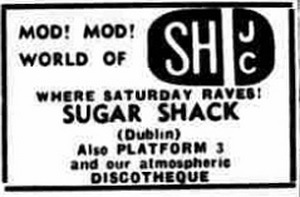 They also rehearsed in a room in Synnot Place, that was let by a Mrs Quigley, whose son Pat Quigley was bass player in Dublin band, The Movement and the first song the band attempted together was Hendrix's 'Hey Joe.' 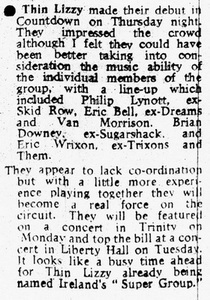 They also found themselves a management deal with Ted Carroll, who had managed The Uptown Band. 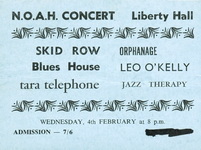 The band also played at the UCD (University College of Dublin). When Cheevers left the band in Earl 1968 the band to find another lead guitarist and found one in Gary Moore. Moore at the time was playing in The Method. 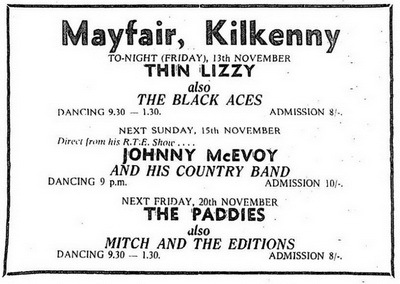 He was playing with them because their lead guitarist Dave Lewis had a car accident and could not go on the bands trip to Dublin, so they approached Moore (ex The Beat Boys) in a Belfast park and virtually kidnapped him and took him to Dublin, where they played some shows at The Club-A-Go-Go in Abbey Road. 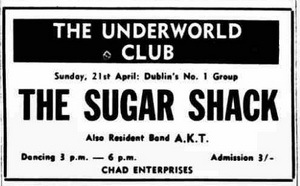 It was in the dressing room of this club that Moore was introduced to Brush Shiels, who was looking for a guitarist for Skid Row, who were playing across the road at The Seventy Two Club. 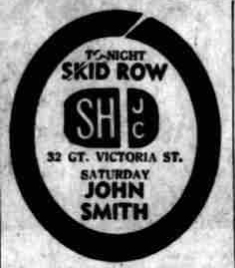 While Skid Row taking a break Shiels had come over to The Club-A-Go-Go to watch Moore. 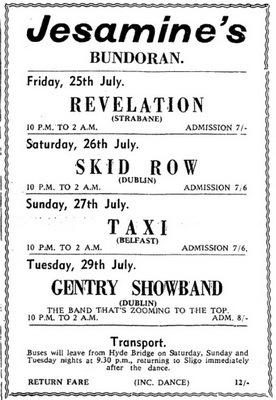 So when The Method were taking a break Moore went across the road to The Seventy Two Club to watch Skid Row. 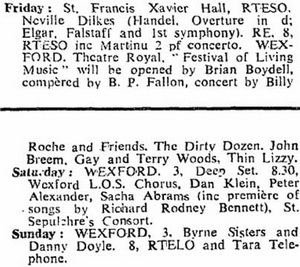 Moore decided to join the band and about a week later he moved to Dublin and got to meet the rest of the band. Moore who was not getting on with his father, thought by joining Skid Row it was a good move to get away from home and was also told he would be getting £15 a week, which he did not! 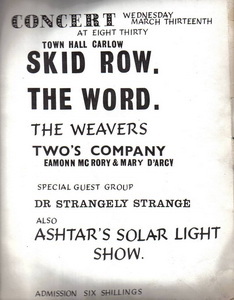 680313 Town Hall Carlow, Ireland With The Word, The Weavers, Two´s Company, Dr Strangely Strange also Ashtar´s solar light show. 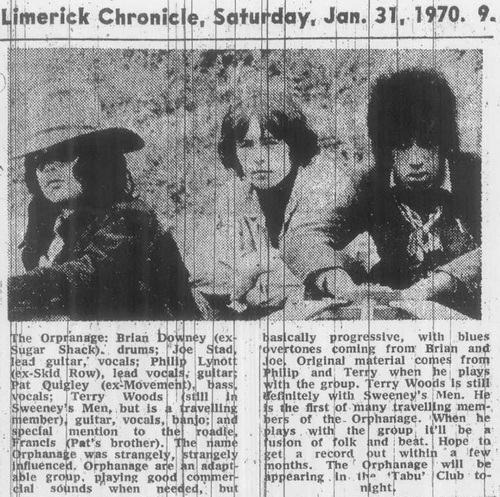 Orphange was formed by Phil Lynott and Brian Downey in Late 1969, when Downey bumped into Lynott and they decided to form a band. 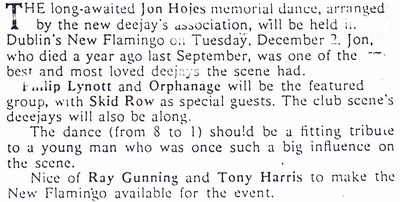 Downey suggested contacting Pat Quigley to play bass and he agreed to join, also suggesting lead guitarist Joe Staunton, who also joined. 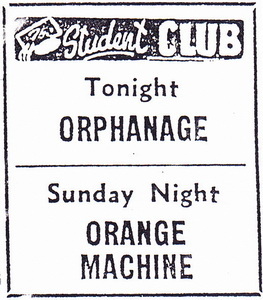 700131 Tabu Club Limerick, Ireland Orphanage did one gig before at this club. 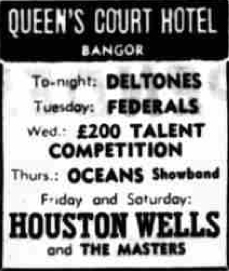 700510 Queen´s University McMordie Hall Belfast, Northern Ireland Promoted by Student´s Union Paul Charles? 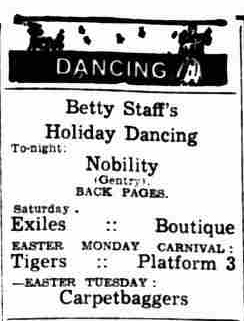 The photo on the poster originally had Eric Wrixon in the photograph on the right but was turned 90 degrees anti clockwise and cut. 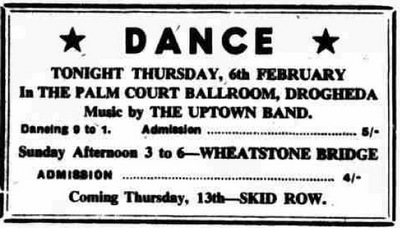 700806 St. John´s Hall CYMS Tralee, Ireland Irish ABC Ballroom tour between showbands sets. 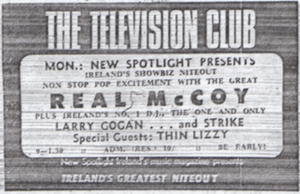 701030 The Television Club Dublin, Ireland R.T.E Like Now! 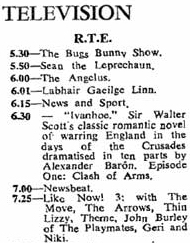 RTE TV Like Now ? 7012 Brian Tuite and Peter Bardon invited Ted Carroll for dinner. 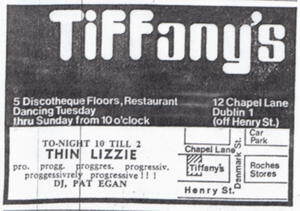 Ted listened to the acetate of Thin Lizzy´s first album. 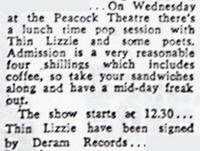 Ted agreed to join partnership with Brian and work with Thin Lizzy, Mellow Candle and Elmer Fudd.